Developers are circling hundreds of thousands of square metres of soon-to-be-rezoned land surrounding Sydney's new North West Rail Link with a view to capitalise on future high rise residential opportunities. A new market review from CBRE highlights surging interest from developers seeking to conditionally buy land around eight proposed railway stations associated with the new link. CBRE Western Sydney's Alex Mirzaian said the agreements were generally conditional on land being gazette to accommodate high rise projects. It has already proved to be a boon for some local land owners who have banded with their neighbours to sell multiple home sites to capitalise on developer demand. "The new Rail Link infrastructure is driving a density upgrade to address the shortage of housing in the north-west," Mr Mirzaian said. "Developers are becoming increasingly aggressive, seeking to purchase strategically located sites conditional to gazettal and on the basis of longer settlements in order to de-risk these transactions. "The Draft Sydney Metro Plan 2031 has identified eight new railway stations under the North West Rail Link Corridor Strategy. Showground Station, Bella Vista Station and Kellyville Station have been identified as priority precincts and are expected to be gazetted in the next 12-36 months, with Showground Station alone earmarked for around 3,600 new apartments. "Homes within an 800m radius of the new Rail Link Station Precincts are located within a study area, which will be reassessed for potential rezoning," Mr Mirzaian said. "Savvy homeowners are consolidating properties in these precincts to create larger parcels with a view to capitalising on developer demand. "CBRE's Western Sydney Metropolitan Investments has negotiated $500 million in transaction in the past 2 years - with one-third of these being in the North West region. 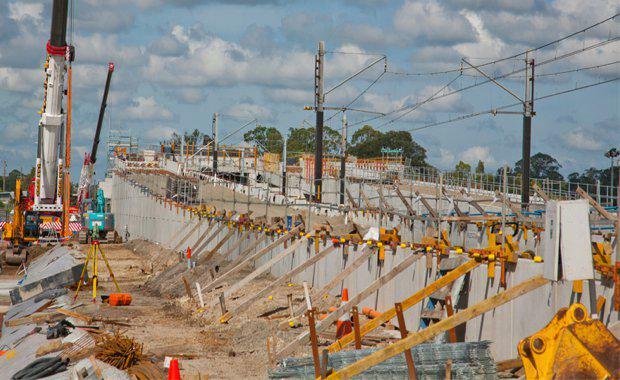 "That level of activity is continuing to escalate, with CBRE currently working on almost 100,000sqm of land that is positioned within the North West Rail Link Corridor Strategy area," he said.